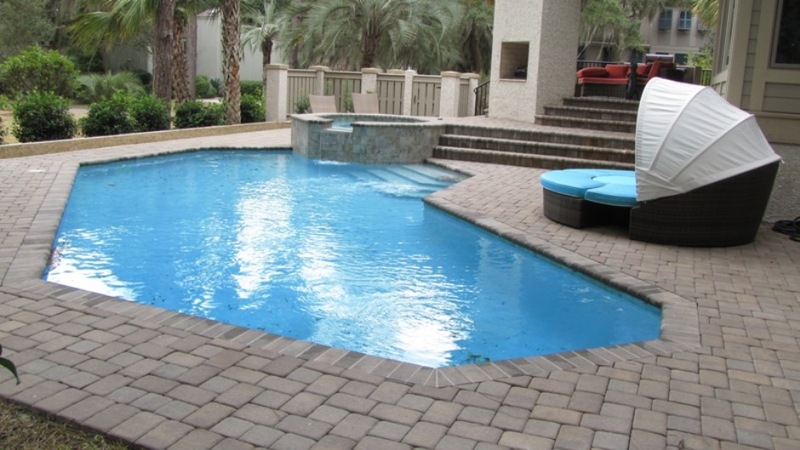 Chlorine is the traditional go-to additive to keep pools fresh and algae free. But recently salt water pools have come in vogue. There are great reasons for this trend but as with all decisions there are pros and cons to be considered. First of all, a little knowledge of how a salt water pool works. You may remember from Chemistry class that Salt is NaCl…. The Cl of course stands for Chlorine. So the basic explanation of how the salt works is that the Na is taken out and the Cl is left. 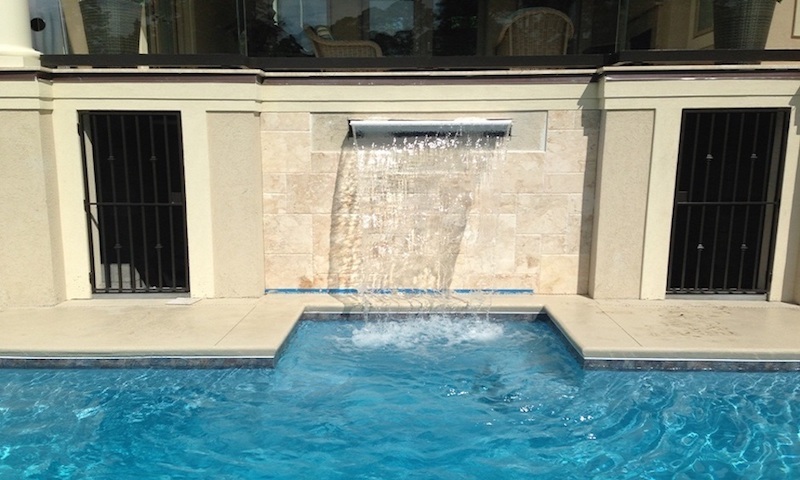 A little more science – titanium electrodes in the filter split the sodium molecules from the Chlorine molecules the Sodium and Chlorine combine with the Water creating HClO and NaClO which are the traditional chemicals used in pools. So what makes this different from chlorine pools? The first con: The initial start-up is more expensive. Lastly: Salt can spike the PH which can produce an unattractive scale that is not very easy to remove. But now for the fun stuff. The advantages to owning a salt water pool. Is that the salt water is much easier on the hair, skin, eyes and respiratory system. It won’t turn blond hair green, or dry out and damage any color hair. Itchy skin after a leisurely swim will be a thing of the past. Red eyes from irritation after an hour’s worth of splashing fun are history. Breathing in Chloromines can cause or worsen emphysema and asthma. Another advantage is that for the most part, the harshest chemical that needs to lay around your home and handle is salt. No worries about hiding things from the children or the animals. It’s just salt. As long as salt levels and ph levels are monitored and adjusted according to instructions, very little else is needed. 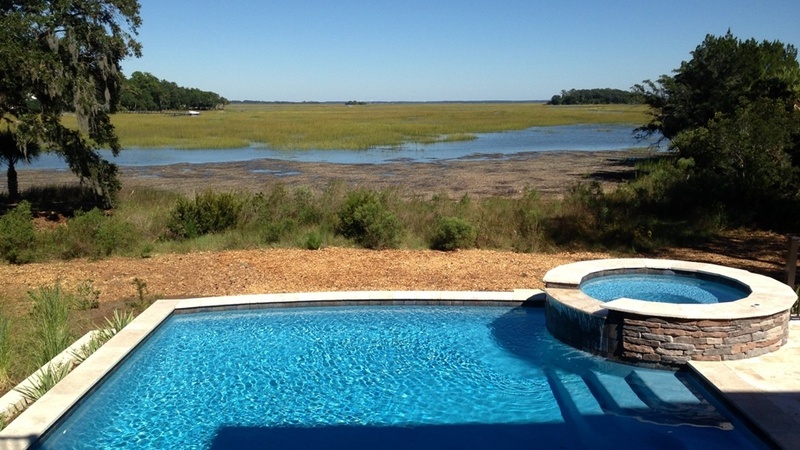 In other words, salt water pools are very low maintenance. 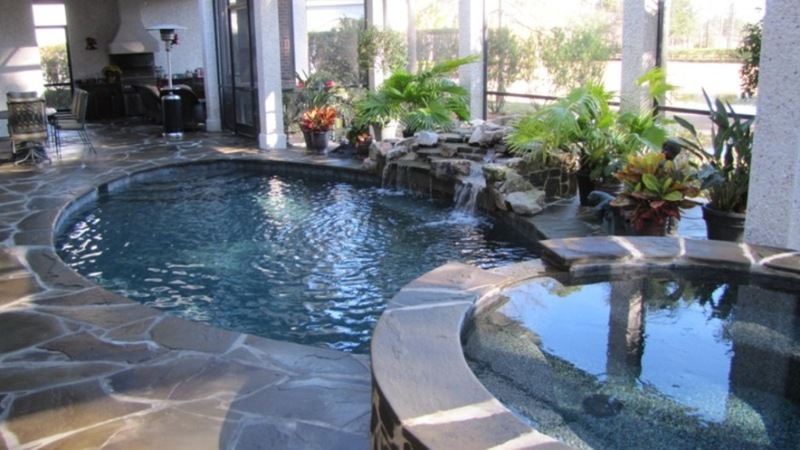 They require much less attention than chlorine pools which means more time to enjoy he pool! Which brings us to the last advantage. 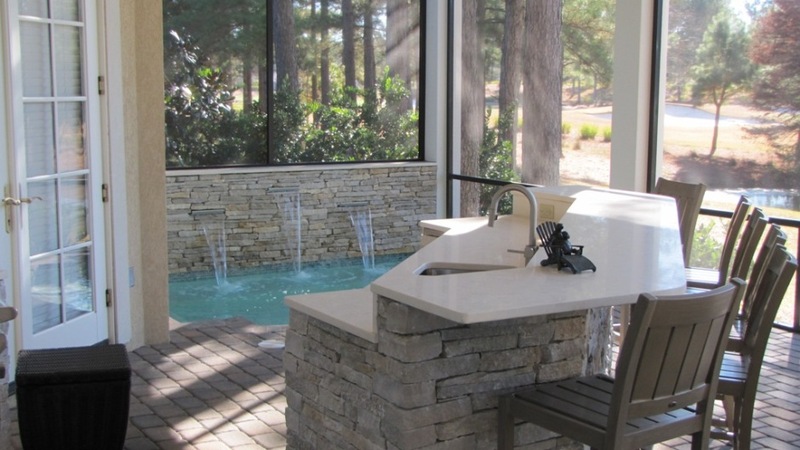 Pools are a luxury, so it would be senseless to say it is inexpensive, however, a salt water pool costs much less in maintenance and chemicals than a a traditional chlorine pool.